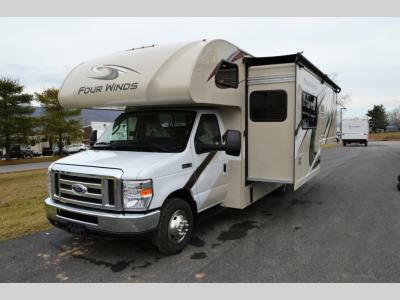 This Four Winds Class C gas motorhome by Thor Motor Coach will get you excited about any road trip you are planning! This model offers a full-wall slide which helps maximize your interior living space and houses two large closets for extra storage space; this model also offers plenty of room to sleep five, as well as a convenient rear corner bathroom with a 24" x 36" shower. Mom and dad will enjoy the queen-size bed that has a privacy curtain which can be easily drawn shut at night, and your kids will enjoy sleeping in the 54" x 96" bunk over the cab or on the 76" Dream Dinette. 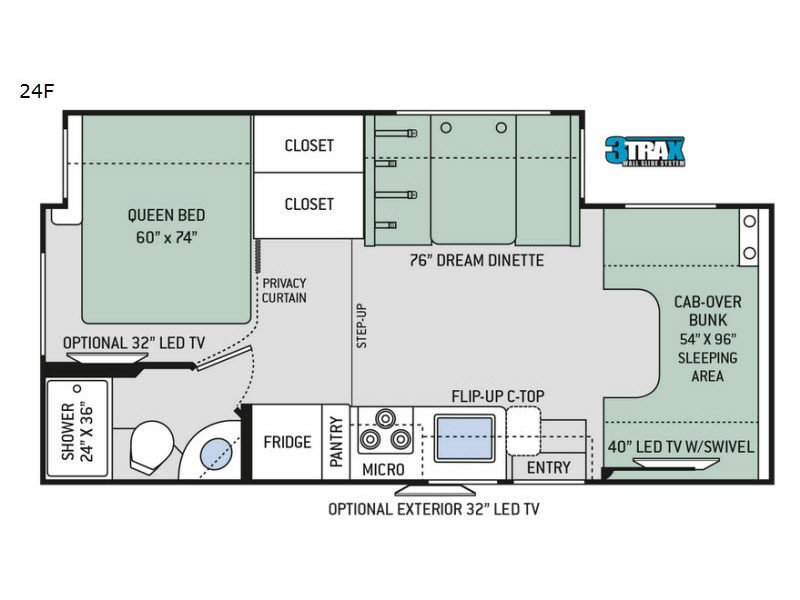 Basement Storage 40 cu. ft.